I have had a couple of clergy tell me that it is now their practice to do so. I still receive the Sacrament immediately following the consecration. Why? Well, first that is what the rubrics instruct me to do. The rubrics are the small italicized directions in the Book of Common Prayer that are the basic required rules that guide our worship. By our ordination promises, the rubrics have the same force of authority for ordained Episcopal ministers as the canons (laws) of the Church. The rubric’s answer to this question is straightforward: “The ministers receive the Sacrament in both kinds, and then immediately deliver it to the people” (BCP, page 365). My own reflection on why this should be the case is both theological and practical. First, the celebrant is not the “host” of the gathering and at this point the celebrant is not the “servant” of those receiving the Sacrament. The celebrant at the Eucharist is speaking the Eucharistic Prayer on behalf of all those gathered. The “host” of the meal is also present in the elements of the meal: Jesus Christ. In the Eucharist, we are all the Baptized children of God and all recipients of the grace offered through the Sacrament. I do not see how the celebrant taking the Sacrament after everyone else has theological or symbolic meaning. Sandy Graham (the Canon for Congregational Life and Leadership) passed on an insight from Heather Patton-Graham (the Chaplain at ‘Iolani School): in an emergency on an airplane, the adult puts his/her oxygen mask on first before placing the oxygen mask on a child. Both need the oxygen and one is strengthened to help the other. The celebrant receives first for a similar reason. The celebrant is in need of grace offered in the Sacrament and is empowered by the very act of reception to share the Sacrament. I suggest that the reception of the Sacrament by the ministers (ordained and lay) should take place reverently and unobtrusively. Receiving last can smack of false humility. The order of reception is, to my mind, practical as well. The “ministers” (in this case, both lay and ordained) who are administering the Sacrament do so first and then go to their places with the chalices and patens. It seems to flow from the Holy Table through the room. So, I don’t know why the celebrant at Holy Communion might think it appropriate to receive last. There is certainly no reason to mention it, if that is the practice. It is an innovation in practice that may have meaning for some that I have missed. If it is happening in your congregation, I suggest asking the priest what s/he thinks it means and how it relates to past practice in the Episcopal Church (as embodied in the rubrics). Communion in this Church” (Canon I.17.7). This can be stated positively as: “All baptized persons are welcome to receive the Holy Communion regardless of age or Christian tradition.” I am no legalist and do not expect the clergy to be the sacrament police. I do think that we have a clear teaching in which the gifts, promises, and responsibilities of Baptism (see the Baptismal Covenant, BCP page 304) are clearly tied to the Lord’s Supper. The two great Sacraments are intimately interlinked. They are together the marks of being in the Body of Christ and have meaning beyond the individual. I am sensitive to this issue because I was baptized as an adult in college and I very consciously took on the promises of the Baptismal Covenant (then in the “Proposed” Book of Common Prayer). 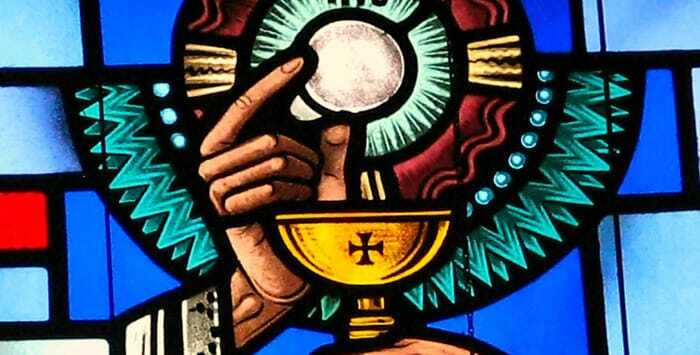 I steadfastly believe that to take Holy Communion one is bound to the Body of Christ and to the promises of Baptism. While a faithful believer might be called to the Table even before water Baptism – in Baptism of the Spirit – the normal practice of our Christian community has been to link the table fellowship to our post-Baptismal life in Christ. We cannot impose the promises of life in Christ upon someone who has not willingly accepted them as an adult or who is not being raised in them through childhood having been baptized as an infant. Table fellowship comes with the acclamation that “Christ has died, Christ is risen, Christ will come again” and that is a life-changing assertion. While this is the official teaching of our Church, it is also profoundly bound to the theology of the Baptismal Covenant and of the Book of Common Prayer 1979. The Episcopal Church practices “Open Communion” in that all the baptized are welcome to the Table; we do not practice “Communion of the Un-baptized.” Please understand, I am not talking about taking role and checking certificates, but about teaching and calling folk into the joy, fellowship and responsibilities of a new life in Christ Jesus. This is actually something the Episcopal Church, through the General Convention, decided. It is understood that the celebrants shall consecrate an appropriate amount of wine when celebrating the Eucharist and perform ablutions in a way that does not foster or model misuse. Non-alcoholic wine (not grape juice) may be offered as an alternative at celebrations of the Holy Eucharist. To be clear, the rubrics of the Book of Common Prayer and Resolutions of the General Convention have affirmed that wine -- not grape juice -- is to be used at celebrations of the Holy Eucharist in the Episcopal Church. Clergy are urged to acknowledge and teach the efficacy of receiving the sacrament in one kind (the bread and/or the wine) when necessary for reasons of personal health or well-being, or because of personal piety and practice. 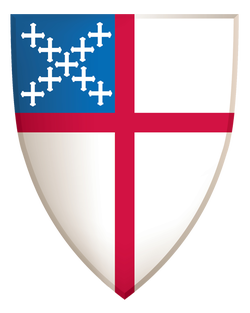 This is what the Episcopal Church teaches.